If you’re a beginner who is just getting into sewing craft, this might be the sewing machine for you. If you’re just getting started and are starting to look at sewing machines, you might find yourself lost in all the different options of sewing machines and price points, but worry no more as we think we’ve found one of the best beginner sewing machines. 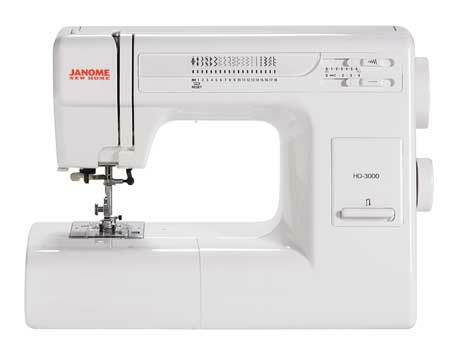 This Janome 2212 review will reveal all the things we like about this sewing machine as well as all of the shortcomings. 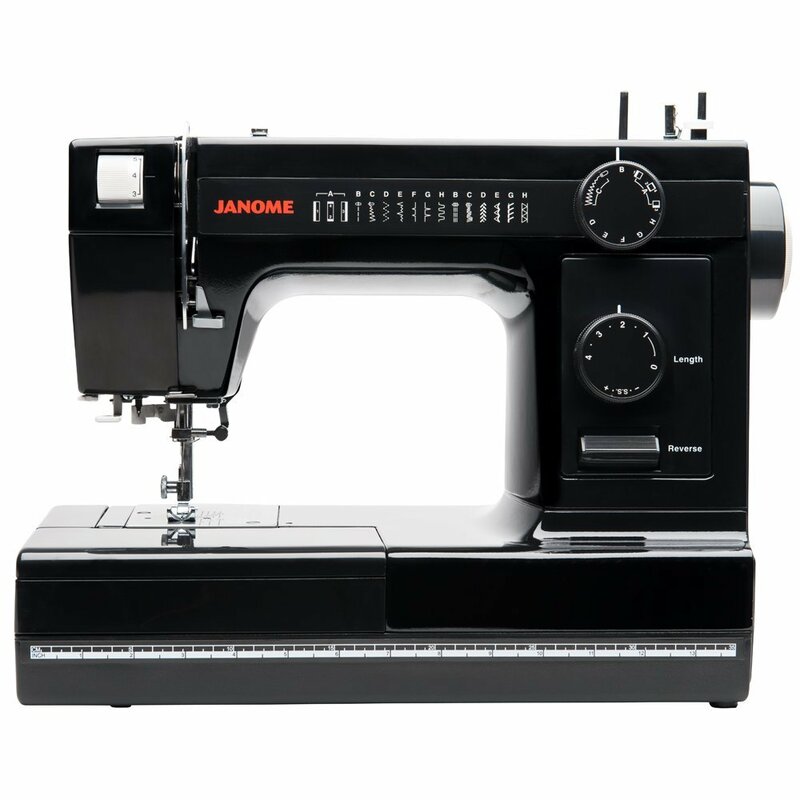 At a sub $200 price point, this sewing machine comes with plenty of handy features and with a great build quality what you will generally find with all Janome machines. While looking fairly basic, Janome 2212 packs most basic features so you can get to sewing right away. With white hard-plastic exterior and metal interior, 2212 comes in at about 13 pounds so it should be no problem carrying around, but, more importantly, it has enough of a weight for it not to move around while you’re working. This way, you will have consistent sew and professional looking stitches that are pretty hard to nail with cheaper and lighter sewing machines. This sewing machine comes with 12 built-in stitches that you can find on the exterior of the machine and a 4-step button-hole. Also as with almost any sewing machine, you can adjust the stitch length and width to take those 12 stitches a little bit further. The table area is pretty small which is either a plus or a drawback depending on what you want to do with this machine, but the table is big enough for some basic quilting. You won’t have to pull your hair out when threading this machine as it has a front loading bobbin and a push-pull winder making threading as simple as it can be. There is a problem with speed-control, if you wish to start at a slower speed, the machine starts fast and then slows down which might be a problem if you’re an inexperienced sewer. Also, one of the limiting factors and a thing that makes this machine fall into beginner category is that it can’t sew many materials. For example, you’ll find it hard to sew leather, suede, fur, reptile skin, canvas, twill, plastic, rubber, extra thick fabrics, or multiple layers, but with a little practice, it’s still possible. The small sewing table might not be a problem If you’re focusing on smaller projects, but if you’d like to sew something bigger, you’ll find it to be very awkward. Is Janome 2212 Sewing machine the right fit for you? Almost every review you`ll find will tell you that this sewing machine is for beginners so we weren’t expecting much from it, but at this price point, you’re definitely getting a reliable, beginner-friendly sewing machine while not sacrificing any “big girl” features. You’ll still be able to manually control the tension and speed so you won’t have a problem to get every one of your projects done without a hiccup. If you’re a beginner, on a budget, or both, this might be the perfect fit for you. At a sub $200 price point, this sewing machine is a great canditate for a first sewing machine. 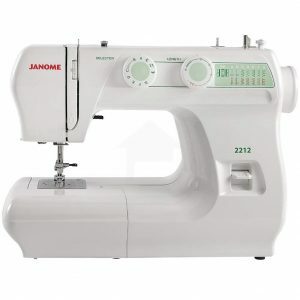 If you’re an experience sewer, we do recomend looking at Janome HD3000 but as a beginner, Janome 2212 should do the trick.